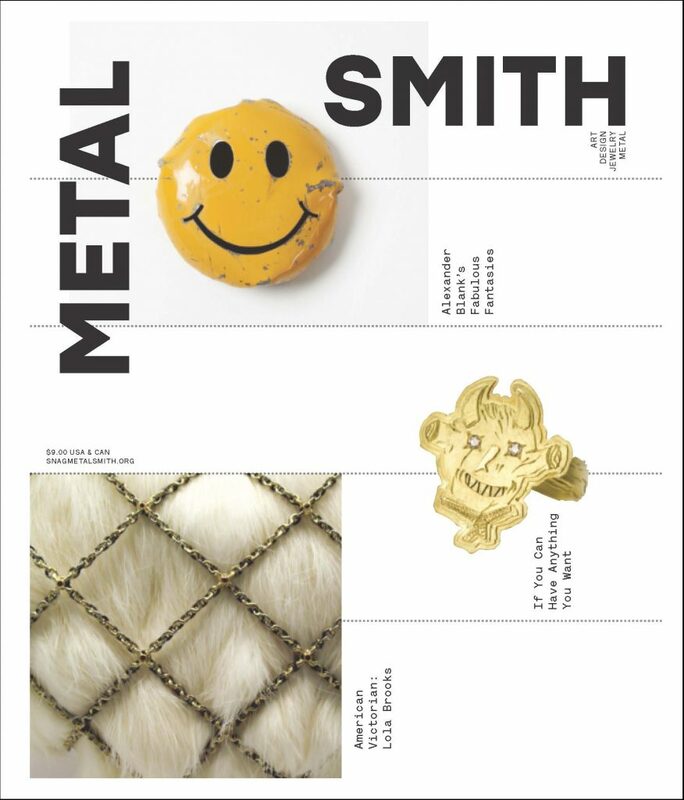 Society of North American Goldsmiths > Metalsmith Magazine > Metalsmith EXTRA! Contemporary metalsmithing is a dynamic field, with creativity flowing on many fronts. Metalsmith EXTRA! helps capture this vitality and extends the magazine’s broad coverage. Here you will find exclusive content related to each issue, with bonus images, expanded stories, and videos of artists and studios. Be sure to check in regularly for something extra to spark your interest and widen your outlook on the metalsmithing world. In the second issue of Metalsmith Tech you’ll find Marlene Richey’s savvy guide to pricing your work. She has supplied a pricing worksheet that is available here. Marlene teaches regularly, including courses on pricing as part of SNAG’s Road 2 Success: Avenues of Entrepreneurship series. The second issue of Metalsmith Tech also features Jeff Georgantes’ great article Precision Pulse Arc Welding and Traditional Torch Soldering: A Complementary Relationship. These PDFs include images illustrating the “Things to Try with Arc Welding” sidebar in the magazine and the larger process: Things to Try with Arc Welding (pdf) ; TIG (pdf). The Spring issue is brimming with lively articles and engaging work from across the metalsmithing spectrum. You will encounter collaborative artist pairs, traditional Japanese metalwork, jewelry made from money, a profile of the metals scene in New Orleans, and so much more. Check out the table of contents and see additional content related to this issue below. We hope you will enjoy! With this issue you will find the magazine has been freshly redesigned for your reading pleasure. Highlights of the new design include a larger trim size, bold new logo, multiple cover images, and greater dynamism throughout. The editorial has also been enlivened and we welcome a new “Findings” department, which gathers timely and relevant stories from across the cultural spectrum, including the I.M.A.G.I.N.E. Peace Now project with related video here. Check out the table of contents and see additional content related to this issue below. Enjoy! Summer is a season of adventure, and the current issue of Metalsmith offers many new discoveries to explore. Our article, “Buried Treasure: The Staffordshire Hoard,” brings you up close to the seventh-century Anglo Saxon trove of sumptuous warrior bling. The video here gives you the back-story and insights into this bejeweled finery that once bedecked weaponry and armor of mighty war lords. This issue also takes you inside the studio of celebrated metalsmith Linda Threadgill, whose recent “Rosette” series is featured in the film below. And in the best spirit of summertime, we hope you enjoy! The book review of Little Dreams in Glass and Metal in Vol 36 No 3 erroneously stated that “the featured artworks have been selected from the personal collection of the authors.” In fact, works included in this book and the related exhibition are owned by the Enamel Arts Foundation. Installation view of “Little Dreams in Glass and Metal” exhibition at the Craft & Folk Art Museum, Los Angeles. 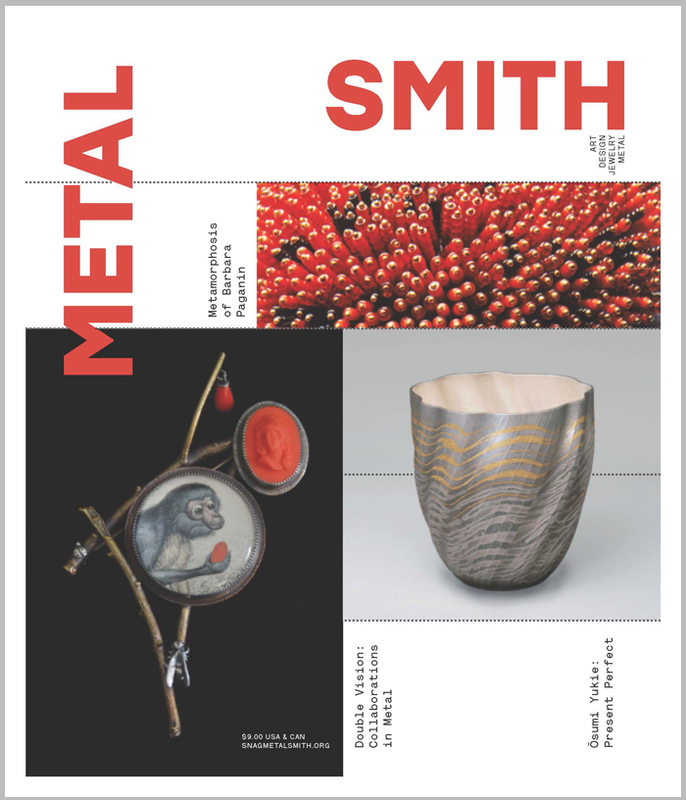 This issue of Metalsmith could easily be dubbed the “Women in Metal” edition, as all four feature articles and nearly all the departments have women as their focus. In addition to profiles on Hanna Hedman, Mirjam Hiller, and pioneer women jewelers of the Arts & Crafts movement, the magazine spotlights work of furniture designer Vivian Beer. Beer was recently named winner of “Ellen’s Design Challenge,” HGTV’s reality television show (congratulations Vivian!). You can check out her winning designs for the HGTV program below. You can also go deeper into the wonderful world of Boris Bally, whose studio is showcased in the current issue. Things are not always as they seem in the Winter 2016 issue of Metalsmith, with many of the featured artists trafficking in illusion or mystery. From cover artist Timothy Veske-McMahon’s sly distortions to Kadri Mälk’s forthright ambiguity, there is plenty to ponder and take delight in. The metalsmithing world lost a true treasure with the recent passing of J. Fred Woell. Our current issue commemorates this humble yet fierce figure, with tributes by Tim McCreight, Claire Sanford and Matthew Drutt. We are here pleased to share an excerpt from the forthcoming film, J. Fred Woell: An American Vision, which is expected to be completed this fall. Anyone interested in supporting this film project with a tax deductible contribution is encouraged to contact Richard Kane. You can also enjoy a recent video on Detroit artist Tiff Massey, whose work and studio is profiled in this issue. 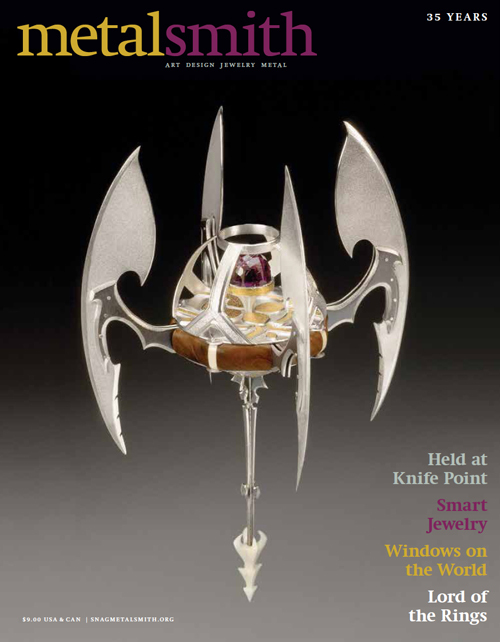 In the Fall 2015 issue of Metalsmith you’ll find the usual mix of exciting metalwork from across the spectrum. Among the profiled artists are J. Cotter, whose studio you can visit in the magazine and through the extra videos offered here. The spectacular rings of Claudio Pino are also featured, and you can enjoy a video profile on his work (in French) through the link below. And you can witness the creative progression of a recent brooch by the profiled duo, Kranitzky & Overstreet. 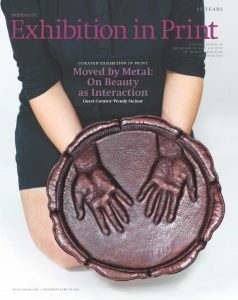 We launch Metalsmith Extra! with videos tied to the 2015 Exhibition in Print, “Moved by Metal: On Beauty as Interaction.” Curated by Wendy Steiner, the showcased works all encourage interaction and empathetic involvement. This video selection from artists in the issue helps brings these dynamic works to life.